Handcrafted Heirloom Quality, Custom Built to Fulfill Your Desires. 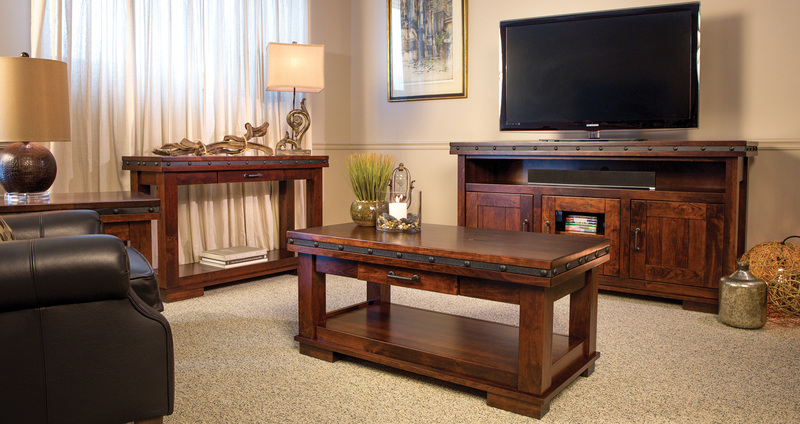 Buy from your home or visit our Shipshewana, Indiana, furniture store. Take it with you, or we’ll ship. Financing available. Our goal is to help our clients fulfill their dreams for reasonably-priced, custom Amish furniture built exactly the way they like it. A giant white barn that once housed a big herd of dairy cows in Shipshewana, Indiana, is now home to Weaver Furniture Sales. So what does a dairy farm the owners turned into a furniture store have to do with you? Quality, service and customer satisfaction. 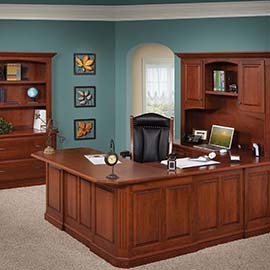 Plus, you’ll find the widest selection of solid hardwood, custom built Amish furniture around. LeRoy and Ida Weaver, an Old Order Amish couple, along with their eight children, own and operate Weaver Furniture Sales. And the family runs the business under a simple guiding principle. Provide top-quality products and excellent customer service. 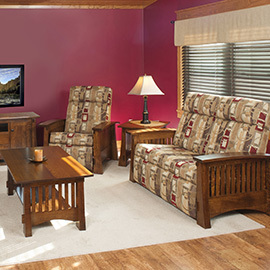 At Weaver, we work with numerous Mennonite and Amish furniture builders, primarily in Northern Indiana and North-Central Ohio. And these craftsmen use solid hardwoods. 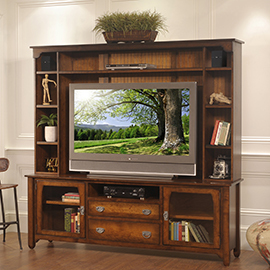 Like oak, maple, cherry and hickory – along with top-quality hardware. 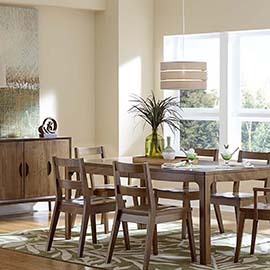 So you won’t find particle board, laminates or nails in our furniture. Also, the Amish craftsmen make each item of furniture with their hands, some modern tools and the skills and techniques handed down from their ancestors. This is why they utilize dovetail joints in drawers, mortise-and-tenon joinery, stretcher-based chairs and countersunk screws. 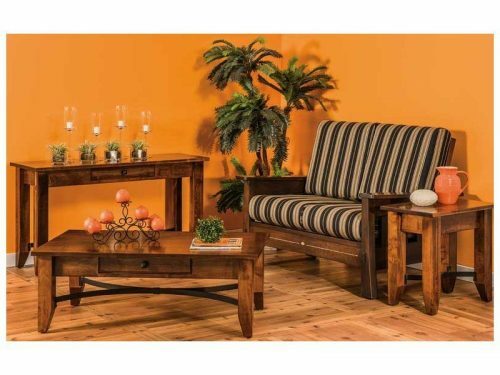 So it’s little wonder Amish furniture is renowned for great looks, superior quality, practicality and long life. In fact, families often pass their pieces down to the next generation. 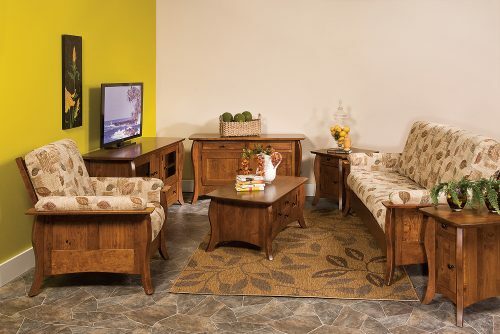 We offer our fine Amish furniture in a variety of designs. And they include Country, Mission and Shaker. Other styles are Queen Anne, Contemporary and Traditional. 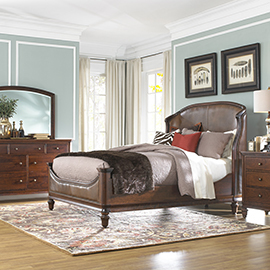 So, we’ll supply you with premium-quality, solid hardwood furniture in the style you like best. 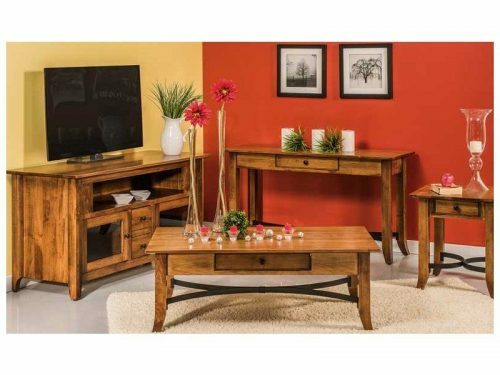 You can order our furniture right off the sales floor, or as shown on this site. Or, you can ask us to customize it for you. Just provide us with your style or idea. And our Mennonite or Amish craftsmen will construct the furniture to your specs. 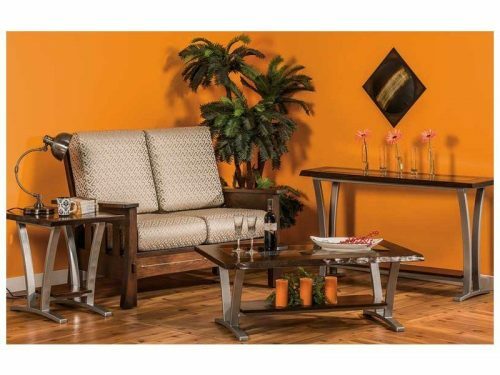 Have fun checking out the various pieces of fine furniture in our online catalog. Better yet, visit our ‘brick and mortar’ store in Shipshewana, Indiana. 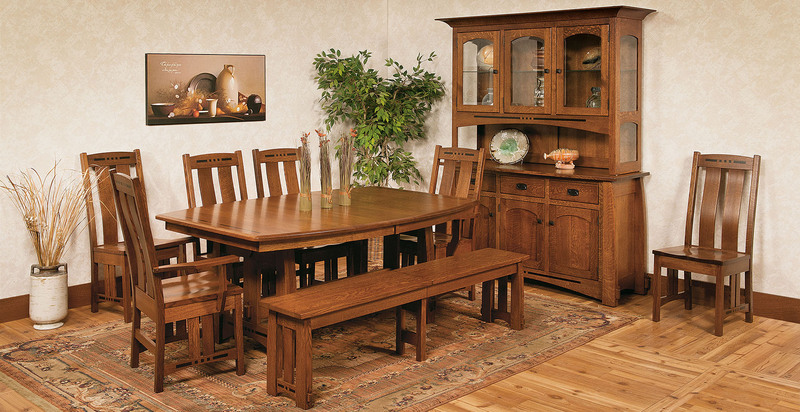 So you can see, touch and experience our full line of handcrafted Mennonite and Amish furniture for yourself. And make sure to bring our special offer with you.